191 High Park Avenue. D.W. Clendenan House. Long front. Photographer John Huzil . 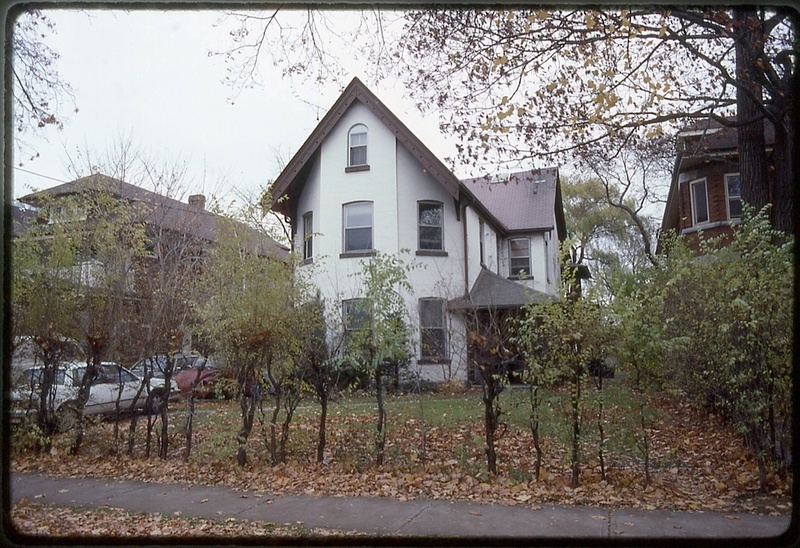 Founding father of the Junction, D.W. Clendenan may well have been responsible for James Ellis’ move to Toronto Junction as the two were co-religionists at the Disciples of Christ Church. Daniel Webster Clendenan was a lawyer who famously “saw the railway coming.” Realizing that the Junction was about to become a major railway centre he secured capital from his uncle, John M. Laws, and bought up the old Carlton Race Course, an 82 acre tract belonging to lawyer Charles C. Keele. D.W. Clendenan began selling lots to eager customers who began arriving from far and wide. (There is a tale of a man walking all the way from Yorkville in a snowstorm to buy lots.) There were 26 real estate offices on Dundas between Quebec and Willoughby Avenues. Clendenan was elected Deputy Reeve of York Township in 1885 and later mayor of Toronto Junction. He worked to get the village incorporated, convinced the CPR to move its railway shops from Parkdale to the Junction with the lure of free water and reduced taxes. This deal was the making of the Junction, but also its breaking as the debts then occurred led to a reduced economy and eventual amalgamation with Toronto. 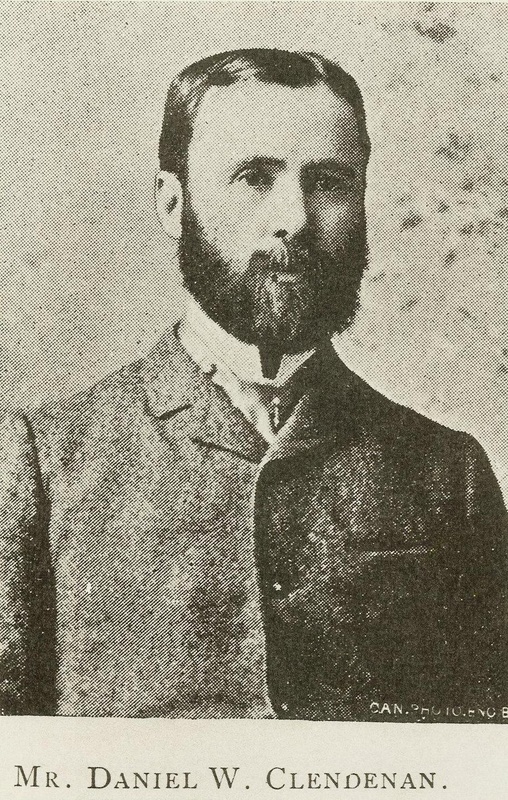 In 1890, D.W. famously ran on the temperance ticket to replace Dr. John Taylor Gilmour as Member of the Provincial Parliament for West York, employing his newly purchased newspaper the Junction Comet in his campaign. Dr. Gilmour defeated D.W. in debate at Kilbourn Hall when the former pointed out that his opponent while campaigning on a temperance platform, was the erstwhile owner of the White Swan tavern. D.W. returned as Mayor of the Junction and continued to sing its praises into a recession. He disappeared in the whiff of scandal after his wife found him in bed with a female employee. He died in the United States. Architect James Ellis is starting his exploration of domestic architecture, using themes he would return to in his own house on Clendenan Avenue: the two storey half octagon facing the street pretending to be a tower; centre hall plan turned 90 degrees to fit on narrow lot; the entrance porch to the side of the house leading to the main entrance and to the central hall and stairs; the rear massing of the house wider than the front to emphasize main entrance location. Large gable facing street with decorative fascia boards partially obscures tower effect. Ellis and his builder has solved common masonry problem of 45 degree corner by offsetting central panel of the half octagon, creating a step back before the two side walls angle off, thus hiding any awkward junctions of the brick coursing, thus also saving the expense of having special bricks made to accommodate the 45 degree angle. The architectural embellishments (fascia boards on gable, brackets to support roof, single half round head window) all lend an air of “country home” which would have been appropriate when this house stood alone on the avenue.